One of the most fun and valuable experiences that our volunteers have during their stay in Ecuador is to live and share with an Ecuadorian host family. To share a little of that experience with you, we decided to interview one of our host families every month. 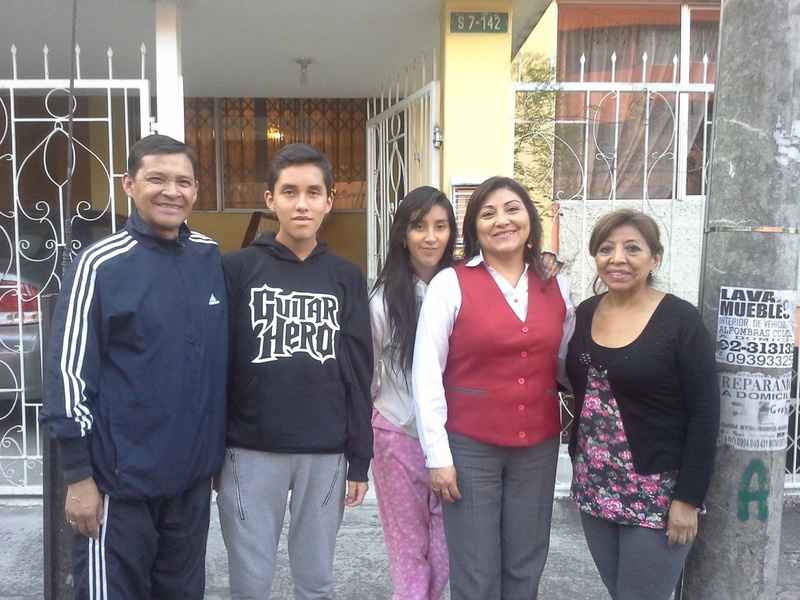 This month we paid a visit to host family Guano, which consists of hostmom Guadalupe, her daugthers Viviana and Diana and her grandchildren Nicole and Michael. How long have you been a host family for Local Dreamers? Guadalupe: for 1 year already! We started on October 20, 2017. How did you get to know the foundation? Guadalupe: a good friend of us, Pilar, is also a host mother and she told us about Local Dreamers. That’s how everything started. Why did you start working as a host family for Local Dreamers? Guadalupe: my house is big so I have enough space. And I really like to get to know new people and meet foreigners. How would you describe the experience of living together with foreign volunteers? Guadalupe: as a very interesting experience. They are all super different. I learn to share with other people. It is also very good for my daughters and my grandchildren, they practice their English with the volunteers, and of course also for me. From your experience, what are the biggest cultural differences between the volunteers, and Ecuadorians? Guadalupe: many! For example the food, the language. Especially the food is very different. Guadalupe: all the volunteers we have received were very kind, very open and sociable. They sometimes cooked for us, which is very cool. The Dutch are educated people. They help the children, they come from so far away. I think it’s great job that you do! I always feel very happy with their presence. Thank you very much for that. © Local Dreamers, a visit to host family Guano.